My Surface Pro 3 got stolen last year and I decided to wait for version 4 to replace it. After reading various reports of initial teething troubles, I waited until the first major firmware update (a couple of weeks ago) before taking the plunge. I won’t bore you with the details of the 48 hours of hell it took me to get it working; just be glad you weren’t there. When I finally got it going, I found the battery life was simply awful: 2.5 hours on a full charge, without doing anything very demanding (no games, no video editing, no mega downloads). I also found that the handwriting recognition (which is what I use it for most) worked less well in Windows 10 than it had with Windows 8.1 (for example, the text entry box is now one line instead of two and cannot be resized). 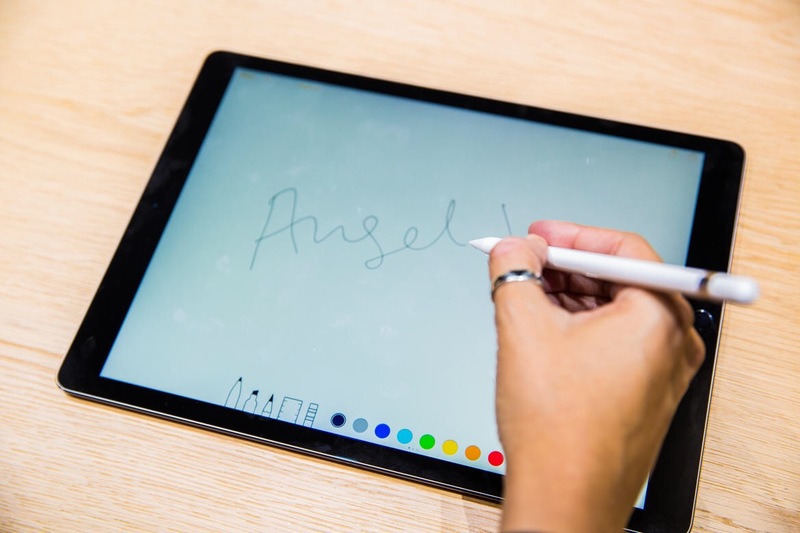 And, since handwriting recognition is part of Windows, there are never likely to be many third-party handwriting apps (not that there are many Windows apps of any kind). I have never been much of a fan of Apple anything, but I must say it was nice to be able to go to an Apple Store and just play with an iPad for as long as I wanted. It was the feel of the Apple “Pencil” that I wanted to experience. (They couldn’t call it a stylus, of course: Steve Jobs would rise from his grave, and what would Tim Cook do for a living then?) Despite the silly name the Pencil felt very nice to write with: a slightly softer tip, with a little more fiction, would be even nicer, but it seemed good. So, I took the plunge and have now been an iPad user for 3 whole days. And, so far, I am very happy. The key to my happiness is a free utility called MyScript Stylus. I have been using the Android version on my Samsung Galaxy Note 4 for a while and it’s very useful, but on the iPad’s massive screen it is an absolute delight. It’s fast and accurate and apart from a slight “tappity tap” noise as I write, it’s a real pleasure to write with. Some apps seem to dislike it (Chrome hates it and Safari is unsure), but OneNote – which I use most – has not had a single problem so far (touch wood). I suspect that if I were user and got the Penultimate add-on. I would be even happier, but we will never know as I prefer OneNote. I hope that future versions (or rivals) will make it even better (editing text is a bit cumbersome, for example), but it’s OK for now. I will try to update this one I’ve been using the iPad for longer.